How can multiple microservices be aggregated to provide a high-performance service composition? The need may arise to aggregate a set of existing microservices to provide an API that offers high-performance functions to service consumers. However, to invoke and aggregate separate microservices introduces runtime overhead that can prevent fulfilling high-performance requirements. The Microservice Compositor pattern is applied to establish a set of microservices responsible for the composition logic. These and the other participating microservices are further deployed in separate containers on the same underlying host. 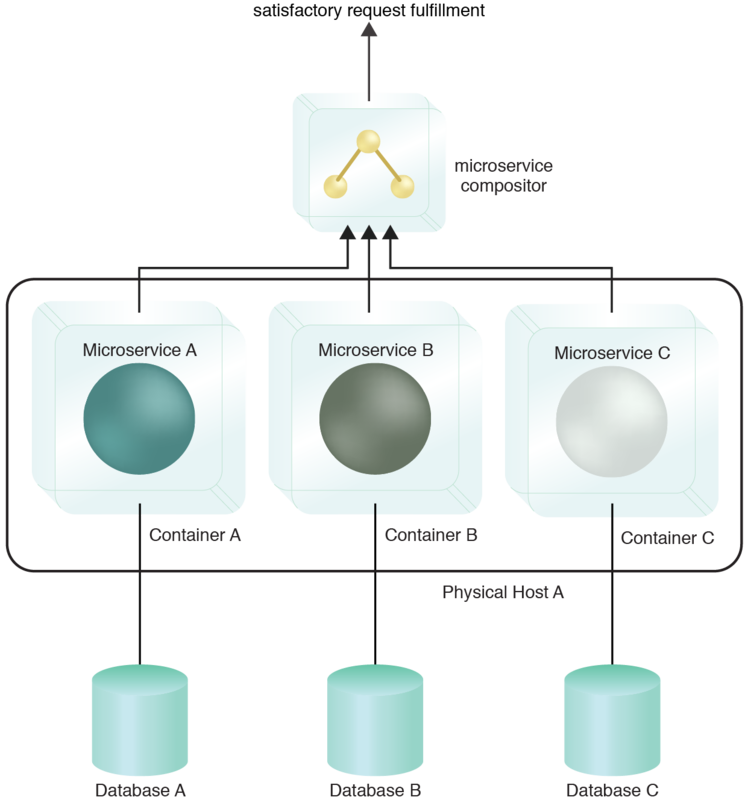 The microservices providing the composition logic as well as any composed microservices are deployed in individual containers and reside on the same underlying host. This enables all involved microservices to share the same host while retaining their individual logical isolation and without sharing any runtime. The service compositor is then deployed on the same host. The microservices deployed in isolated containers on the same physical host. The underlying host can optionally be a virtual machine. This pattern is applied in conjunction with the Microservice Compositor pattern as explained in the complete pattern description.